The retail business is as challenging as ever to win customers away from web only retailers and remain profitable with brick and mortar cost structures. The ability to control inventory shrinkage from both internal and external threats will often determine if a retail business survives on a razor thin margin. The element of cash transactions and high employee turnover compound the challenges in successful retailing. Using new security technology tools, including biometric access control and IP video surveillance, provide the fundamental protection tools to survive and thrive in retail today. Retail loss prevention solutions must be simple to use, affordable and highly reliable to be effective to business owner and their managers. The F6 and F18 stand-alone biometric readers offer a cost effective and manageable solution to tighter inventory controls with high employee turnover. Biometric enrollment is fast, has greater integrity, and has control and audit trail capabilities for business owners. The ZKTeco Network Video Surveillance Systems provide an accessible video record of retail events with a wider variety of cameras and accessories using high quality IP megapixel video cameras at very affordable pricing. Bread Talk Foods Group is the first listed company for mainly selling bread and positions its brand in young people. 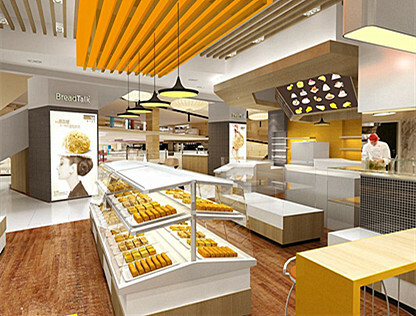 Bread Talk Cake & Bread has more than 80 chain stores in China now, such as shanghai, Guangzhou, Beijing, Nanjing etc. 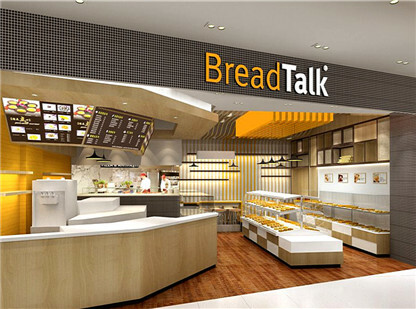 Bread Talk wants a terminal that can manage and monitor every employees in all chain stores. Furthermore, the terminal can connect with HR system,which can receive employees’ and stores’ information automatically in real time. Information safety also needs to concern. At the same time, the terminal saves original punch-card record to data base automatically. According to the requirements of Bread Talk company, ZKTeco recommended ZKTIME 8.0 Attendance Management Terminal with B/S to them. Therefore, Bread Talk installed ZK Time8.0 software and database in Shanghai headquarters and each chain stores will place a attendance management terminal. The server will be connected with all terminals by Internet. The software server adopts a flexible network structure: if the server is powered off or interrupted during working, attendance terminal will save all not uploaded data. And the data will continue to upload in next time connection. It is very convenient to manage all the remote distance data . What’s more, the chain stores no need to install any software to visit ZKTime8.0 system, but input IP address in the browser only. The attendance terminal with B/S will upload attendance record to the server by TCP/IP timely. The whole system connects to the HR system automatically. The Bread Talk is satisfied with this solution. ZK solution ensures not only information safety but also management efficiency and convenience. Using ZK terminals, it will successfully fulfill the requirements of retail chain stores for time attendance management.